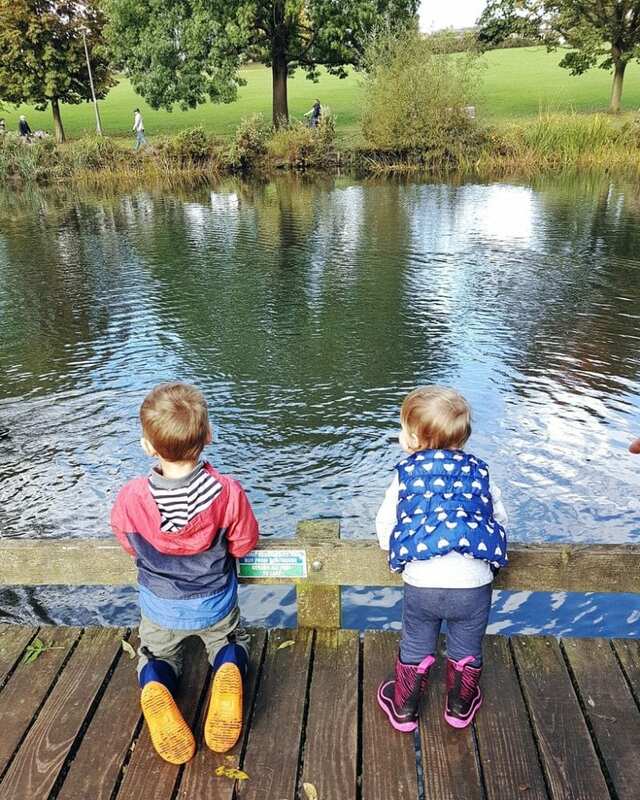 Getting outside and enjoying nature, even in the autumn and winter months, is a real priority for us. This means the children have to have the right winter clothing. If you’re looking for high-quality, sturdy winter boots that will stand up to even the muddiest puddles, you can’t go wrong with Muck Boots. 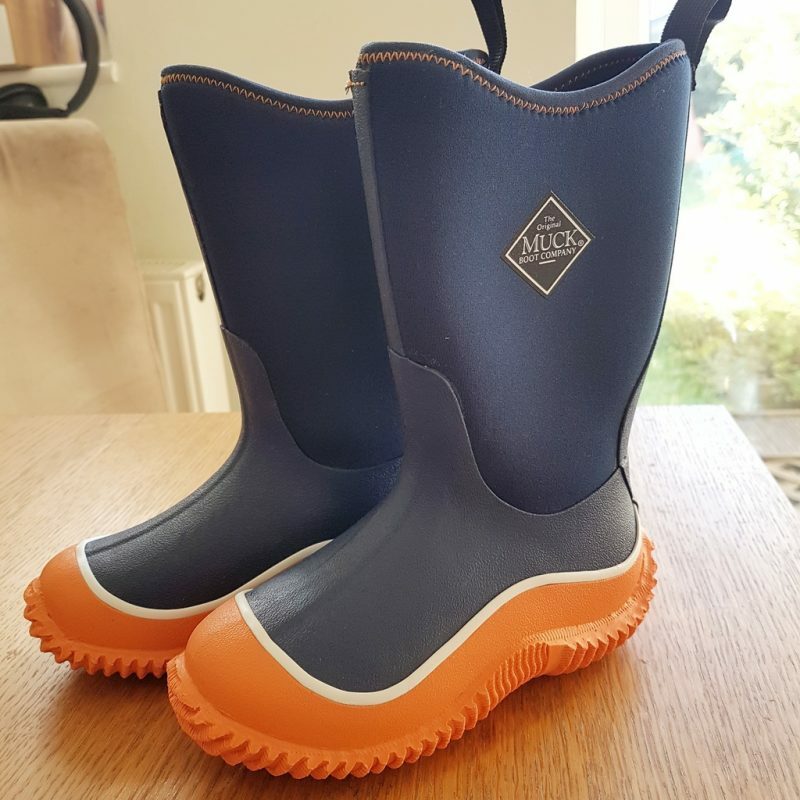 The Original Muck® Boot Company was founded in 1999 and they make boots for adults and children that are designed to withstand even the toughest wet and dirty environments, while not compromising on comfort. 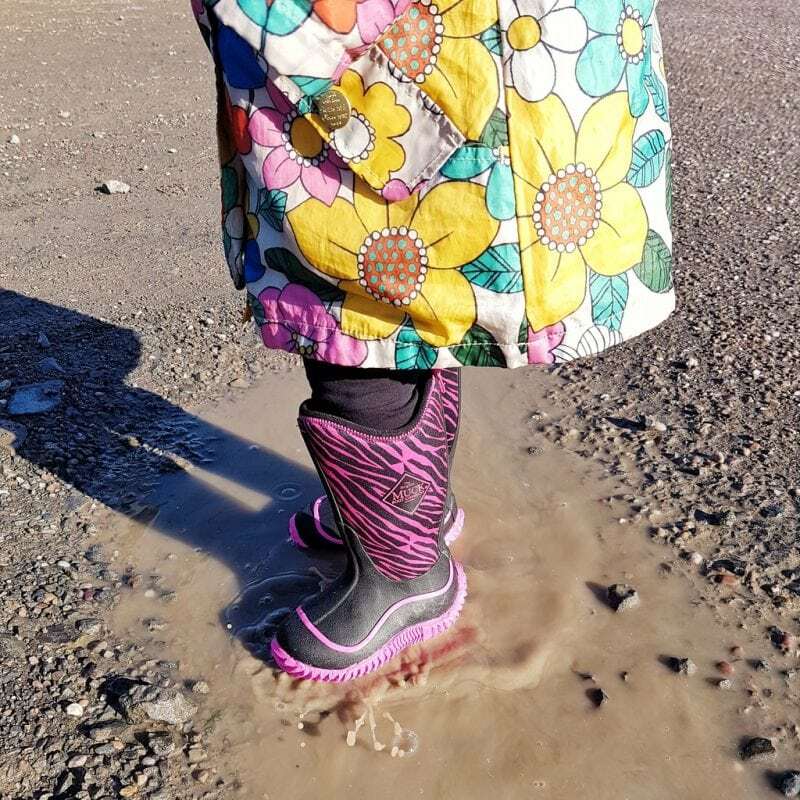 As we like to go on long, muddy walks throughout the winter months, we were delighted when Muck Boots sent us some Boots for both Biggest and Littlest to try. 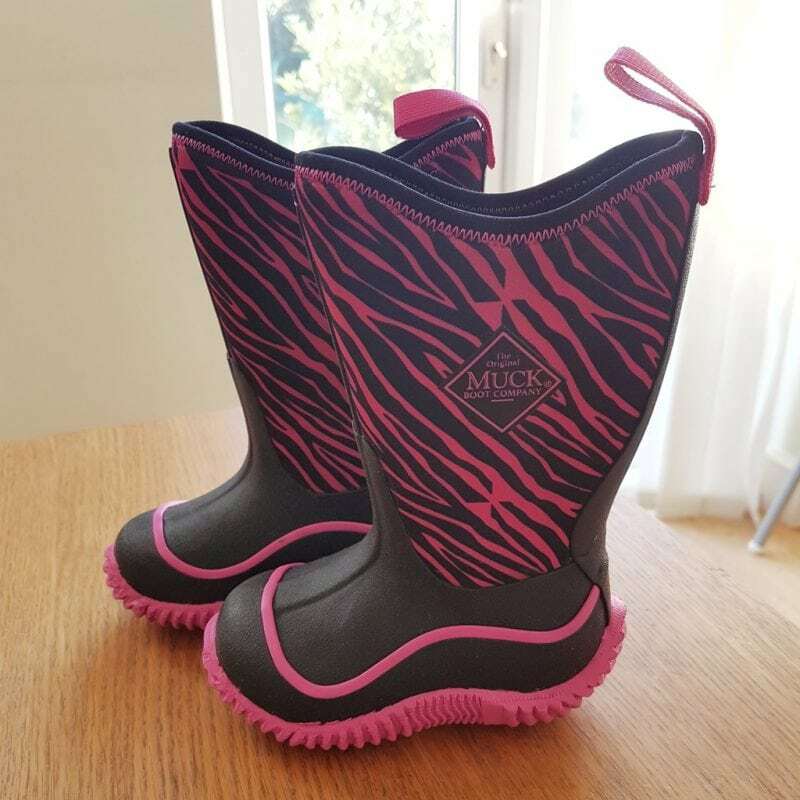 We received the Children’s Hale Muck Boots for both, in Orange-Navy for Biggest and Pink Zebra for Littlest. You can see how great they look below. As soon as the boots arrived I could tell that they were high quality. 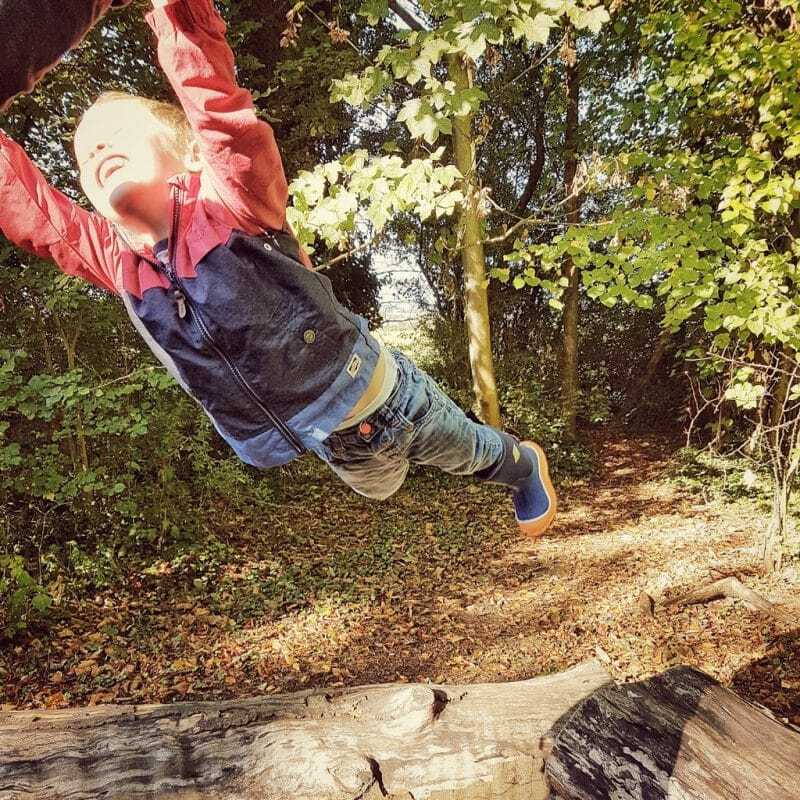 Over the course of the last few weeks we have tried them out in some of our favourite places to go walking, including Croome Park in Worcestershire and Pittville Park in Cheltenham. 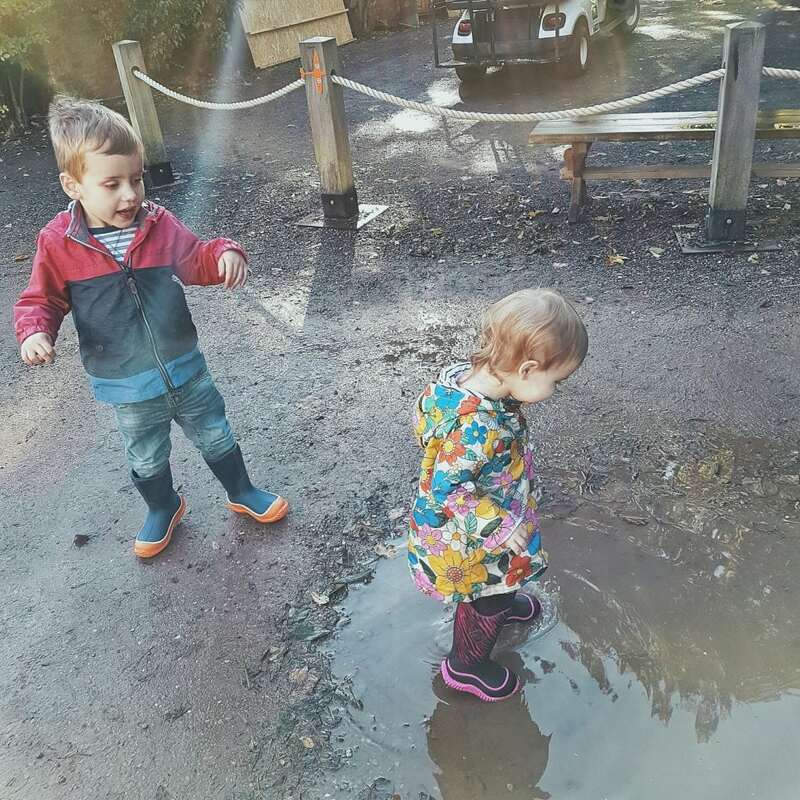 The weather has certainly turned autumnal of late and there were plenty of muddy puddles and mucky places to test the boots out. The soles of the boots are extremely robust and durable. They also seemed to have great grip. We went for several long walks, over an hour each, with both children walking the whole time. They seemed comfortable and sure-footed for the duration. As you can see from the pictures, they looked pretty stylish too. I think Muck Boots will be absolutely excellent for snow and I am hopeful that we might get some this winter. Neither of the children have ever seen snow. It would be wonderful for them to get out and explore in a real covering of the white stuff! Hopefully, if they are wearing their Muck Boots, there won’t be any cold toes.